That’s why we want to take this week to highlight just a few of the talented female coworkers we have the pleasure of working with every day. Throughout the week, we’ll be sharing blurbs about each team member. The women we’re highlighting this week are by no means the only ones who deserve our recognition—each member of our team is vital to PGI, and we appreciate every single person we work with. Today, we would like to highlight Karen McCormack. Karen joined PGI in 2013 and runs our human resources department. When she started, the company had fewer than 12 employees. Since then, Karen has onboarded every PGI team member, CONUS AND OCONUS alike. She shares that building her career with PGI has been rewarding because she’s been able to help PGI grow into the award-winning company it is today, and with the guidance of leadership, to build and shape the HR department along with company-wide protocol. As the company grows, Karen works to make sure its HR processes grow with it. 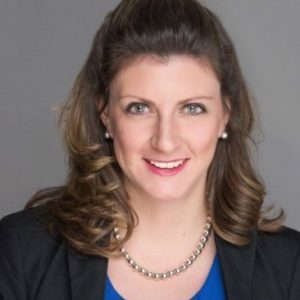 She has helped implement ADP Workforce Now, PGI’s third-party COBRA administrator Conexis, and is currently working on Ethical Advocate, PGI’s soon-to-be-launched ethics reporting hotline. She’s been essential in the continuous improvement of ISO processes as PGI implements its ISO 9001:2008 Quality Management System. From full lifecycle recruitment to helping with contract work and sending care packages to PGI’s deployed team members, she truly is involved with every facet of the company. When talking about her work with the company, she states that there isn’t a job at PGI that she wouldn’t be willing to do—and that’s something she shares with candidates during the interview process. As a family friendly company, she’s joined leadership in building the team environment where every employee is willing to pitch in with any job when needed. For example, she’s even stood post at one of PGI’s prime contract site locations. She reminisces about how growing up on a small Maryland farm helped her develop this mentality of always working together toward a unified cause. She loves that in this fast-paced world of government contracting, no two days are the same. Karen also knows that without every coworker—both in the office and deployed—the company would not be where it is today, and shares how thankful she is for their dedication and commitment to the mission. As for working as a woman in a male-dominated industry, Karen shares that she’s always respected women who teach, guide, mentor and sponsor other women. Her advice for every professional is to stay true to yourself and stand up for what you believe in. Karen has come to learn the importance of finding a work-life balance. Karen suggests realizing that a woman cannot be a perfect mother, wife and employee without making sacrifices, but learning to balance those sacrifices only strengthens her abilities in each of those titles. She recommends setting goals for yourself and planning what you need to do to accomplish them—and not forgetting to take time for yourself, your family and your friends while you’re at it. In her spare time, that’s what she enjoys doing most—spending time with her family.